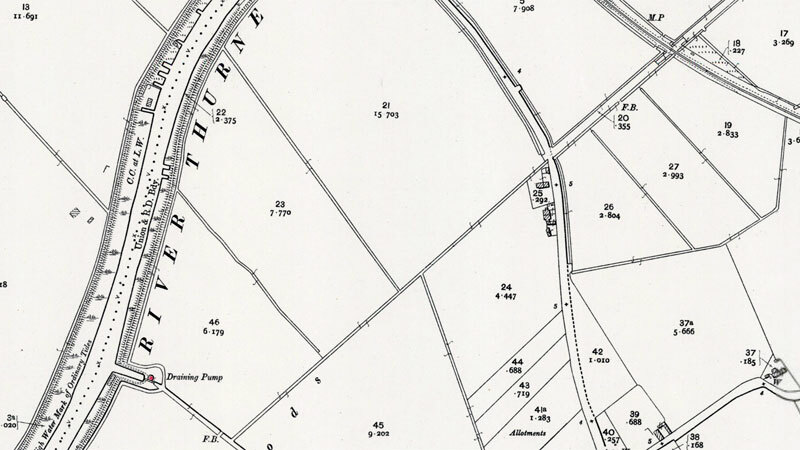 Repps Level drainage pump was not a large mill with a four storey, dull red painted tower approx. 31 feet high. The batter changed to cylindrical for the upper storey. 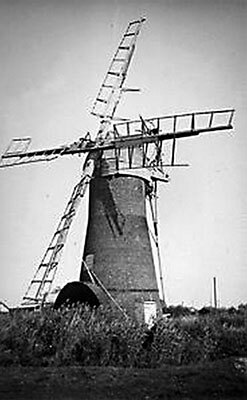 Power for the scoop wheel was supplied by 4 double shuttered sails and the Norfolk boat shaped cap with its petticoat and tail pole, was turned to wind by a six bladed fantail. 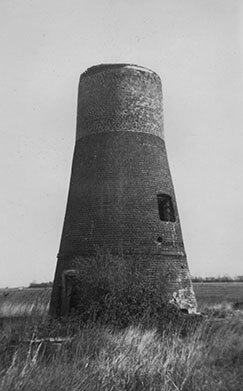 The two was originally only two storeys high but a third storey without batter was later added, probably at the time when the mill changed from common sails to patent sails. 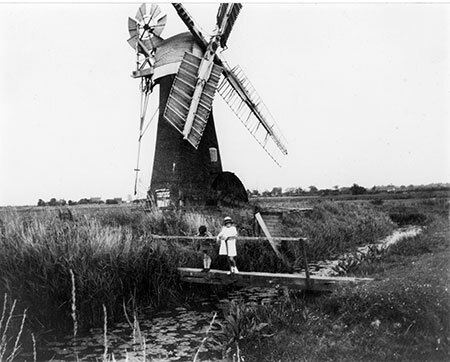 The pump stood in a field by the river about half a mile along the towpath from Potter Heigham old road bridge. 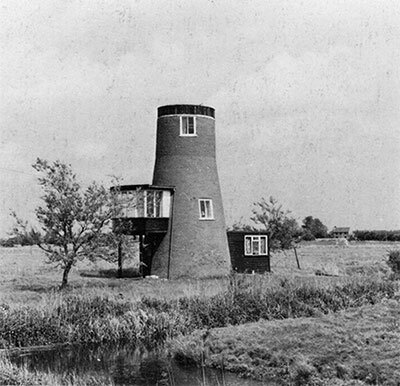 After the end of its working life, structural additions were added to convert the mill into a private residence. 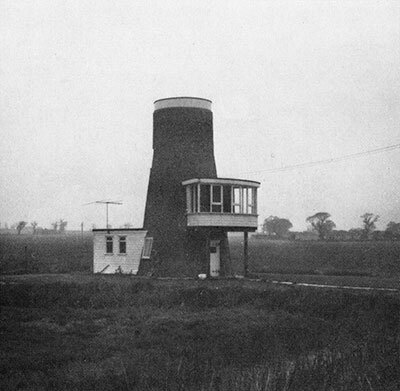 Additions included a white boarded band around the top of the flat roofed tower, a glazed sun lounge balcony set against the first floor and a small boarded room on the opposite side at ground level.